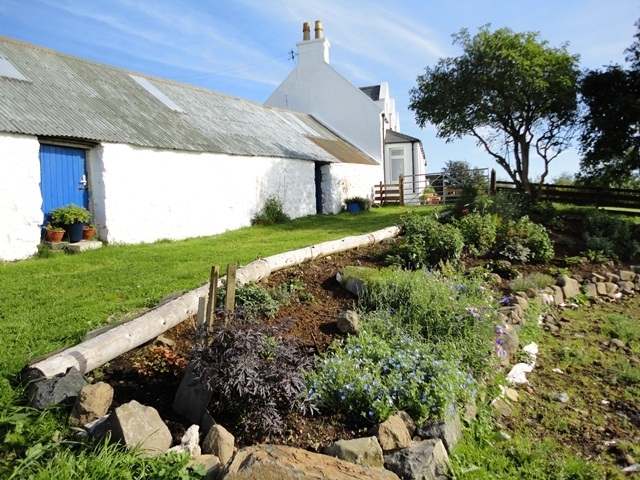 This self catering, traditional style, holiday cottage which sleeps up to six people, is located in the rural crofting community of Borve near Portree on the Isle of Skye. 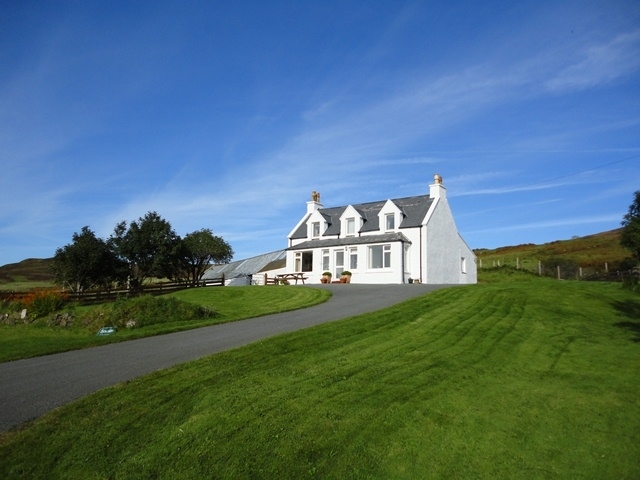 It provides spacious, modern and comfortable accommodation in an ideal central touring location with panoramic views west over Snizort and with direct access to the Trotternish Ridge. 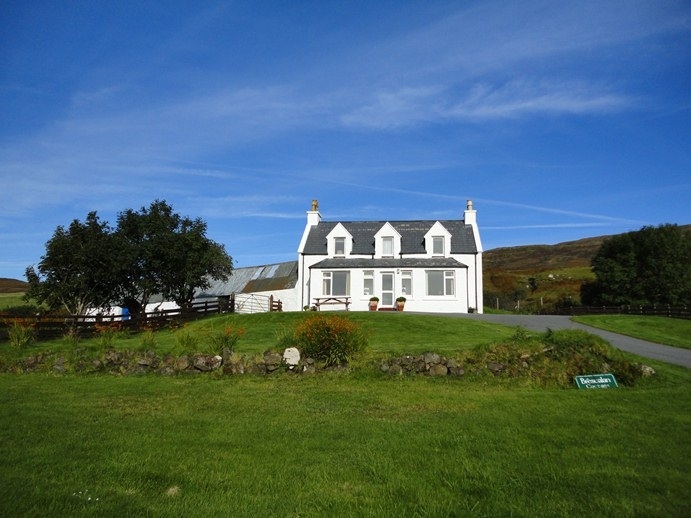 Brescalan cottage is situated in an ideal central location for exploring the Isle of Skye. The cottage was built from stone in 1908 as a croft house. While still retaining it's original character it has been fully refurbished to a high standard to provide quality, modern, self catering holiday accommodation for up to 6 people. The ground floor, including the master double bedroom with en-suite shower room, has been designed to accommodate those with disabilities, including wheelchair access. 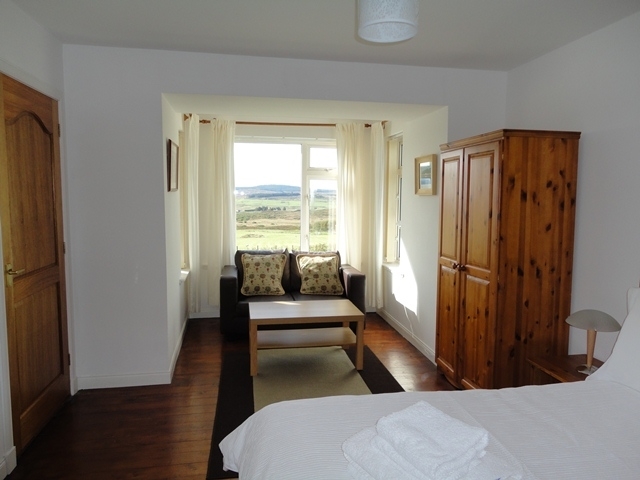 The upper floor provides two twin bedrooms and full bathroom facilities. There is a spacious and comfortable lounge room with panoramic views. 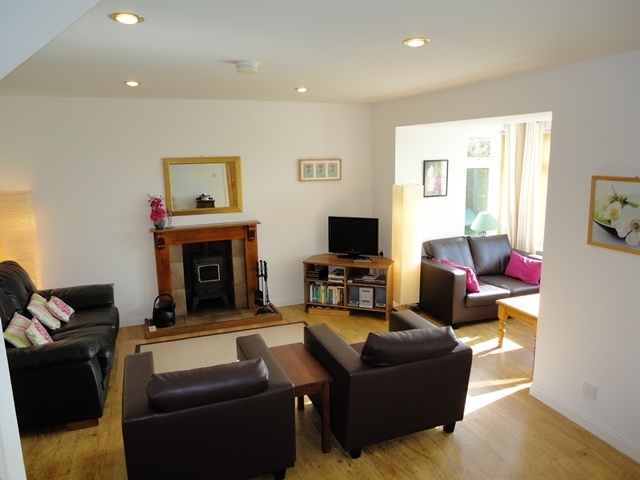 The cottage has electric heating in all rooms and the Lounge room also has a wood burning stove. There is a modern dining kitchen and separate utility room with full laundry facilities. All electricity, heating, hot water, bed linen and towels are included in the tariff. The cottage has spacious gardens with outside seating and parking for up to 4 vehicles.